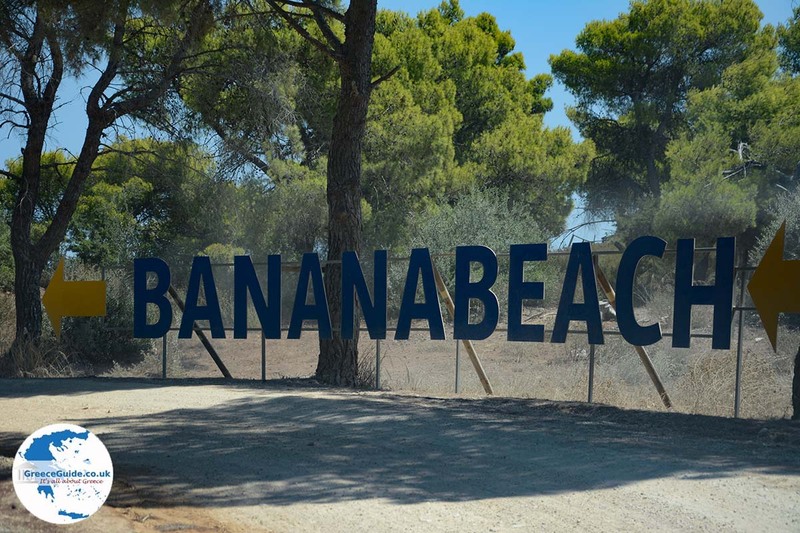 Banana beach. 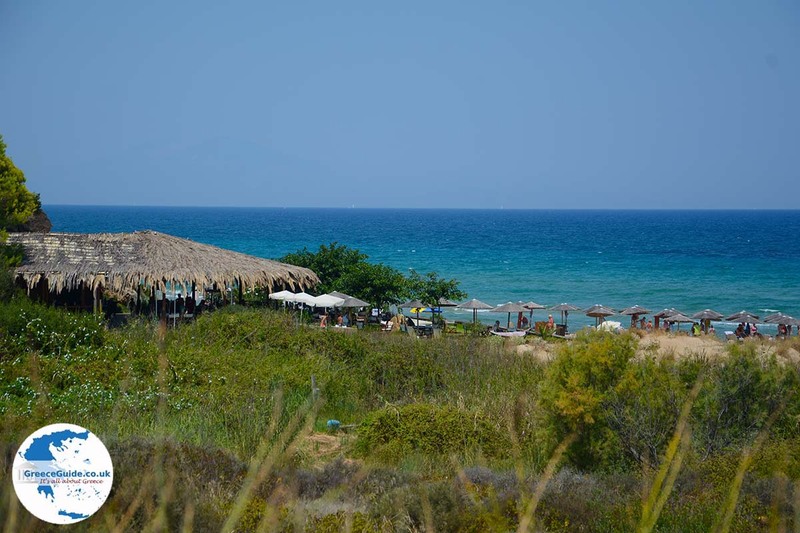 Banana beach is one of the most popular and largest sandy beaches on the island of Zakynthos. 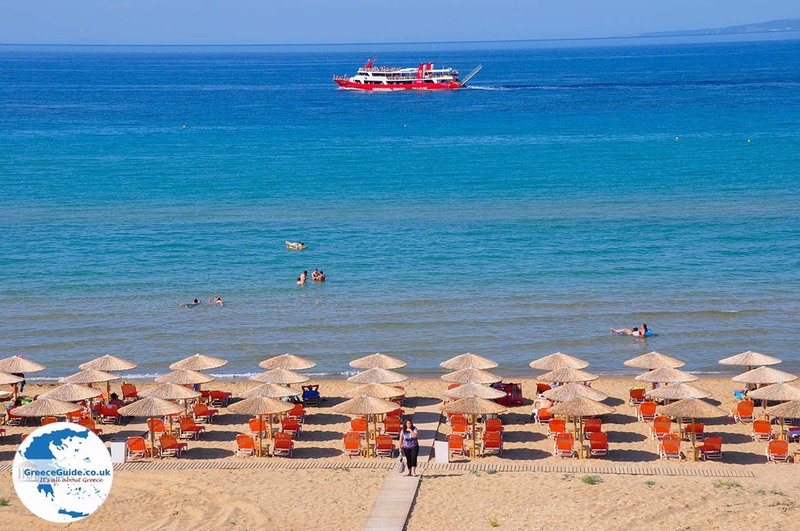 The beach is 15 kilometers southwest of Zakynthos town and 2 kilometers from Vassilikos. It is a large beach that is commonly visited by families with children but mainly by young people. The water is crystal clear and shallow. Here you can practice almost all water sports such as parasailing, water skiing, windsurfing and jet skiing. On the beach are some beach bars - restaurants. 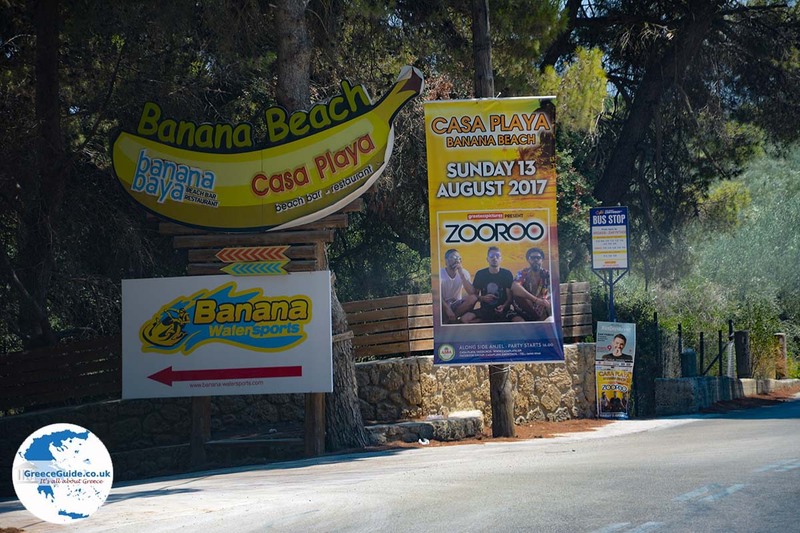 The most famous beach bar here is Casa Playa, where regularly in de the summer, famous Dj's play music. 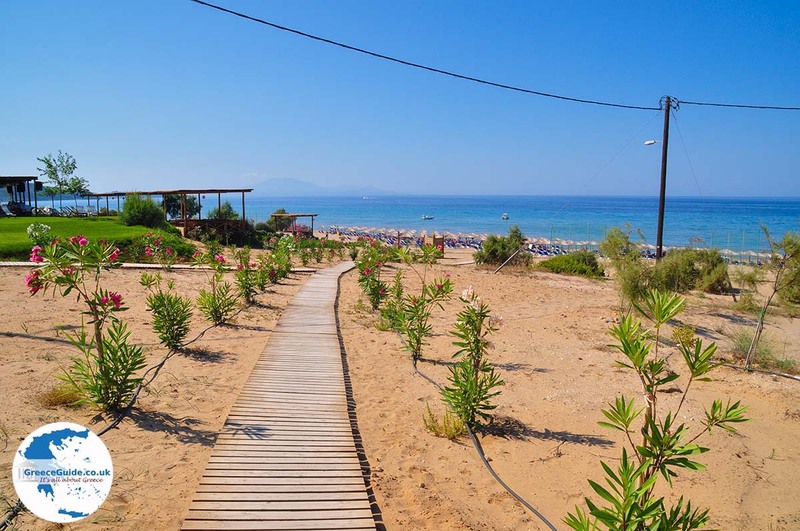 The beach is easy accessible by car and there is ample parking. 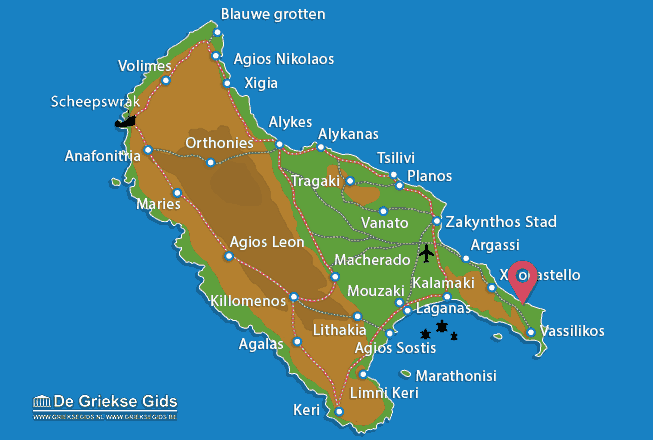 Zakynthos: Where on the map is Banana beach located?